You already know the obvious causes (like shoveling out your driveway), but some of your everyday habits could be responsible too. Certain sleeping positions can put strain on your back. That’s where a pillow can help. Put one under your knees (if you sleep on your back) or between your knees (if you sleep on your side). Avoid lying on your stomach, but if it’s absolutely the only way you can sleep, put a pillow under your hips, or try sleeping without a pillow under your head. When you’re sitting at a desk or in your car, does your back tend to get rounded? That bad posture can produce tension and tightness that can lead to a back ache. You don’t need to walk around balancing a book on your head, but try to sit up tall, as if there’s a straight line going from your ears to your shoulders to your hips. And every now and then, squeeze your shoulder blades together for five seconds, rest, and repeat three times. 3. An old mattress: When was the last time you got a new bed? If it was close to 10 years ago, switching it out for a new one could boost sleep quality and reduce back pain, according to research from Oklahoma State University. Participants saw improvement almost immediately with a new mattress. 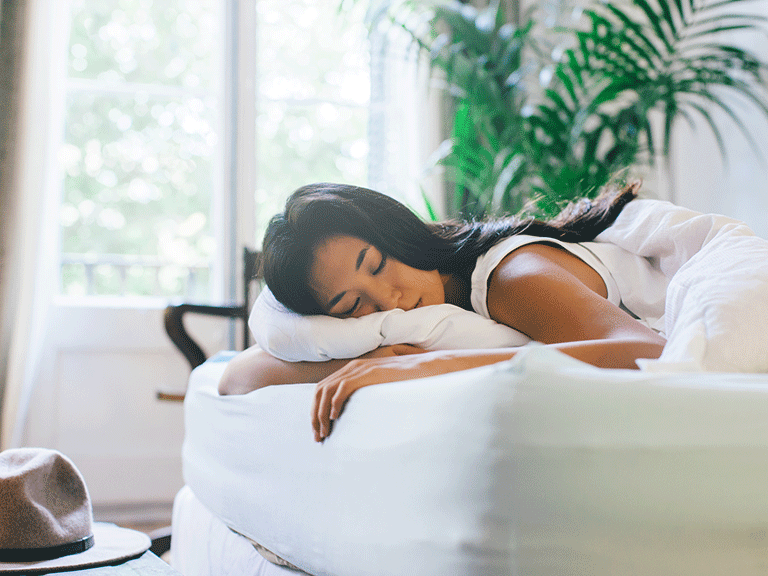 The National Sleep Foundation recommends getting a new mattress every eight years, or slightly more frequently if you’re over 40. Tight hamstrings don’t just make it tough to touch your toes; they can also contribute to lower back pain. The hamstrings are connected to your pelvis, and so when they’re tight, they can limit how well the pelvis moves, which can in turn tighten up your lower back muscles. The result: back pain. Try yoga to help.